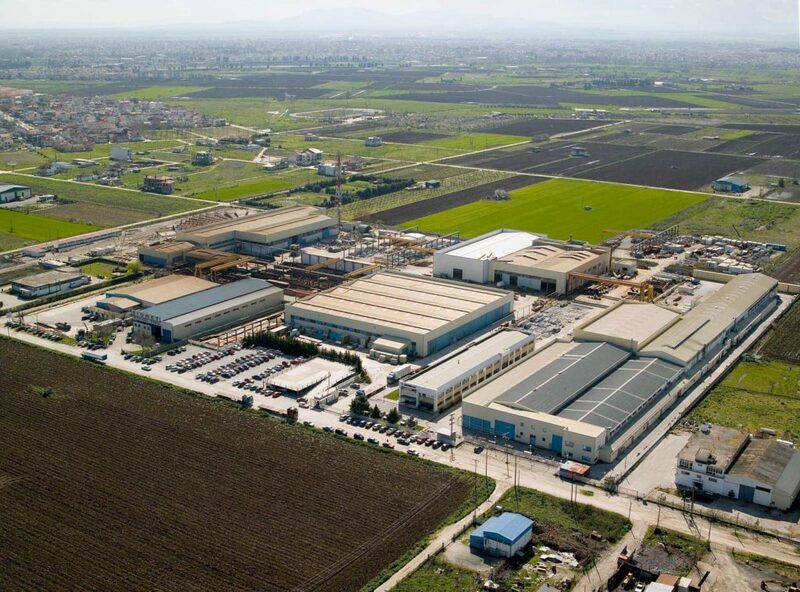 Intakat’s’s steel structure and electromechanical production plant, located in Yannouli on the outskirts of Larissa in Central Greece on a 130,000m² lot, with a 30,000m² built up area, and employing a workforce of 250, is one of the most advanced manufacturing facilities of its kind in Europe. Commissioned in 1987 and acquired by Intracom in 1994, the plant was run by Intramet, a subsidiary that merged with Intrakat in 2005 and currently operates as an autonomous business unit. Vertically integrated, the plant offers a full range of services, from design and development to manufacturing and installation of complex steel structures, electromechanical equipment parts and export-oriented defense applications. Specialized knowhow, constant infrastructure upgrades and advanced robotics and CAD/CAM applications ensure the marketing of high quality, competitive products and services in Greece and abroad. The plant’s ΕΝ ISO 9001 certified quality assurance system provides full traceability of all products and processes, while its environmental management and health & safety systems are ΕΝ ISO 14001 and OHSAS 18001 certified respectively. Moreover, the plant is one of a few facilities internationally that has been accredited and certified as a BOEING approved subcontractor, NATO approved manufacturer, NADCAP global aerospace industry subcontractor and Hellenic Ministry of National Defense certified contractor cleared to handle classified material. The plant’s R&D department handles the design, modeling and testing of steel structures and electromechanical equipment, as well as the development of new products. Plant services include static and dynamic structural testing using Finite Element Analysis, electronic system cooling and heat transfer simulations using Computational Fluid Dynamics, and the design, development and standardization of prototypes in one of Europe’s most advanced prototyping facilities.